It took longer than I wanted, but it finally happened. Over the weekend I managed to fix the idiotic bits that were keeping the MeeGo IM framework from working with GTK+ applications in MeeGo. Raymond Liu merged my patches upstream and hopefully this will make it into MeeGo 1.2. There are still some rough edges and things to improve but at least now input will work. A kind thank you goes to Michael Hasselmann and Jon Nordby whose patience and help have been extremely valuable all along the way. It's finally here! 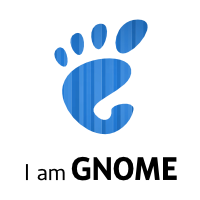 GNOME 3 is for you! Enjoy it! Go backwards in time to March 2011.